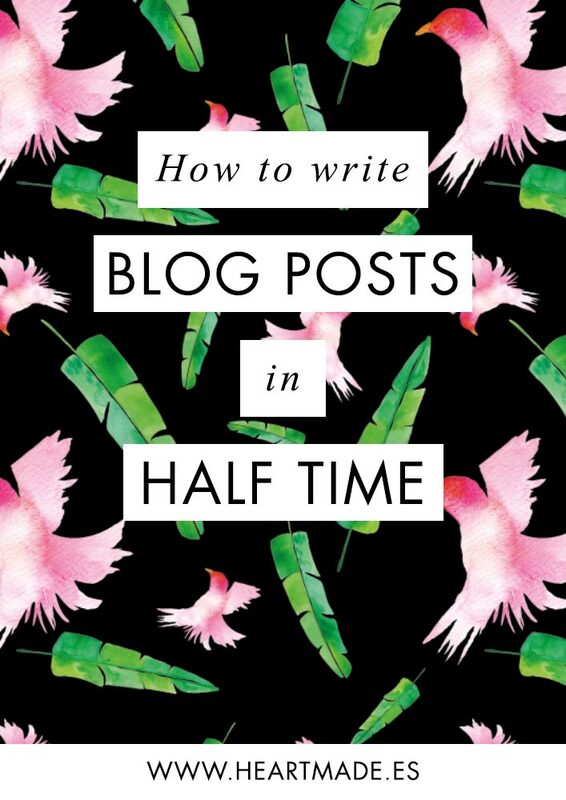 Try my 5 tips to write blog posts in half the time. 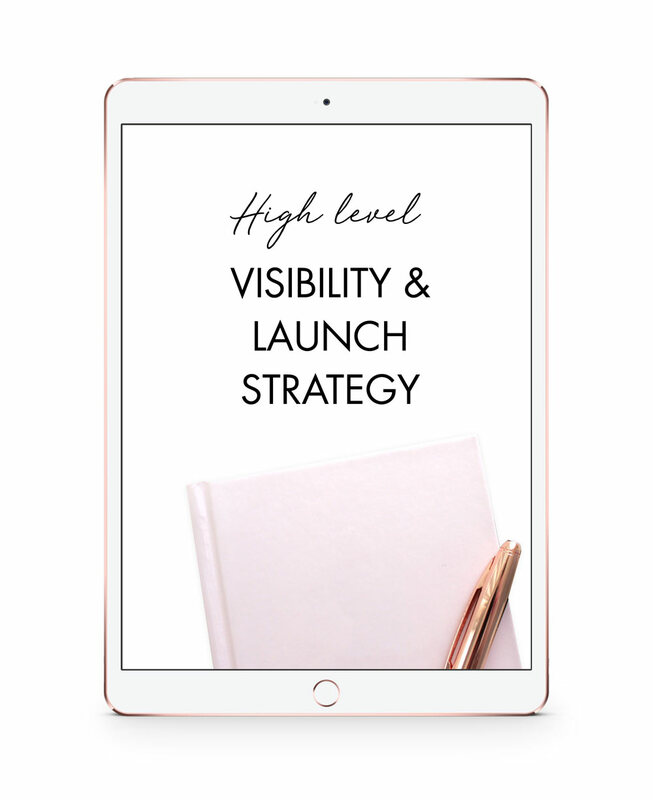 Struggling to write new posts every week? I was like this. When I first started blogging I didn’t follow any strategy, but in 2015 we decided to start Lovers Love Loving, and I knew that we needed a blog to grow fast & get targeted traffic. We were two at that time, and without even knowing about content marketing we started creating our own editorial calendar. We had meetings every now and then to fill the calendar with blog post subjects and schedule their authors. But there was no consistency. When I started blogging again here in Heartmade.es I decided to do things different. If you are in my Productivity Boss training, you already know how you can be more productive by actually working less hours. It’s all about organization, finding the right tools and techniques + being consistent with them. Every month I brain storm new blog post topics and I write them down. This saves me time & stress. When it comes the moment to write, I know exactly what I need to say. I don’t need to waste time researching or trying different ideas. 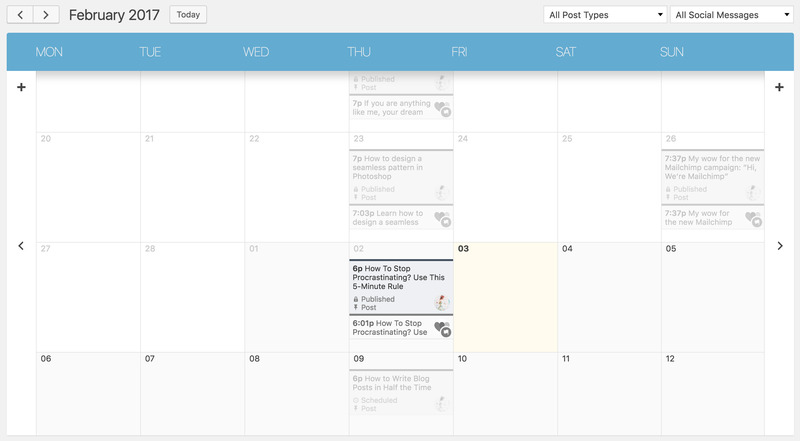 I use Nelio Content, an editorial calendar plugin to schedule my future posts in WordPress. I can write any ideas or titles and it will automatically create a new draft post on my WordPress site. Then I can drag & drop it around to organize my calendar. Plus, once I have all the post ready, I can automatically schedule social media shares from Nelio after the post is published. I never post just to check the list. I always post with a purpose, with a goal. Check my post about how to write good SEO blog posts to understand more about it. All my posts try to have the best content information possible. Because I really want to share things that interest people like you, and more than anything: my goal is to help. That’s why I only share educational content that can help small entrepreneurs like you and me to be more successful & productive. I found that writing the first thing in the morning works better for me. But I also have a day in the week especially for writing blog posts: Friday. This does not mean I only write on Friday. Sometimes I feel inspired on Wednesday morning and if I can re-schedule other tasks I go ahead and do it. It’s important to have a routine, though. Because when you have deadlines, you can prepare yourself and get motivated to get things done. When it comes to writing, I don’t do it in WordPress anymore. I use Bear, a clean text editor app that keeps me out of distractions and increase my productivity. I found that with this app it takes me half the time as if I do it in WordPress. – Its clean & simple design does not distract me at all. – I can use it without Internet, which increases the possibilities of getting distracted with new notifications in my computer. – It autosaves my changes. Which means that I don’t need to worry to save the post every now and then and I can focus only on writing. And by combining all these 4 tips, I save more than 1 hour of work every week. Just from writing blog posts! With all the other techniques I teach in Productivity Boss you can save much more time. For instance: it only took me 2 hours to write the free email course to Find Your Own Success. Plus 1 hour more to set up the automation in MailChimp. In just a morning I had an automated system to help entrepreneurs like you. And I invite you to try that free course because I have to say that I love all the replies I get from those emails! I’m meeting many interesting people and discovering amazing projects! 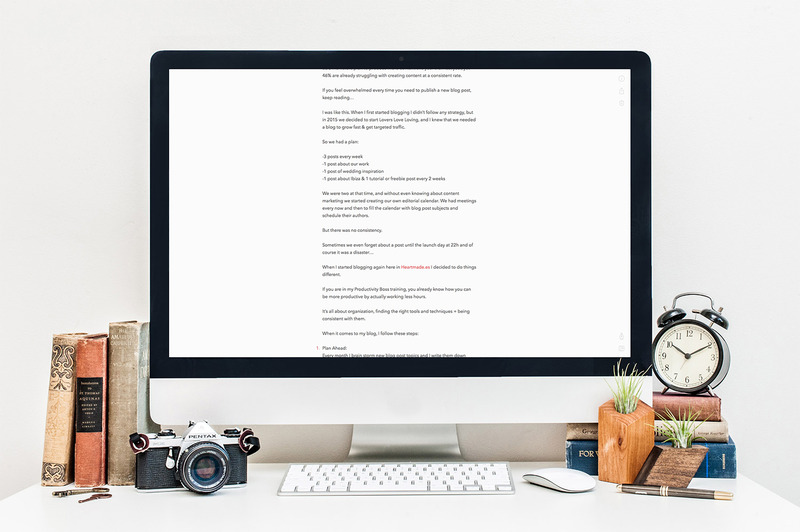 – Dedicate 1 hour every month to brainstorm your upcoming new blog posts. – Don’t post irrelevant content. Always give the best you can. – Plan a routine to write the same day every week. – Write without Internet connection.